‘Tis the season for the stress of holiday entertaining and cooking! Wouldn’t it be a wonderful holiday treat to be able to host a delicious gathering with confidence, plus time and energy to spare to enjoy the company of loved ones? I spent time with Daisy Martinez in Napa with Bush’s Beans back in October. 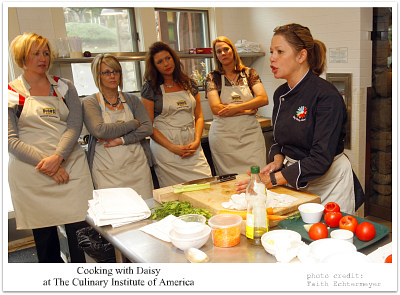 Daisy taught us all the importance of spice and layers of flavor when cooking. I was THRILLED when Daisy asked if she could send me a copy of her new book! Daisy Martinez, star of the Food Network’s Viva Daisy! 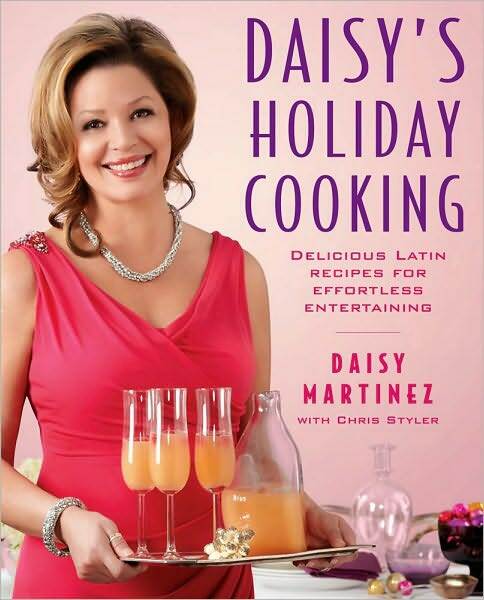 Daisy’s Holiday Cooking: Delicious Latin Recipes for Effortless Entertaining, shares her trusted formula and favorite tasty crowd-pleasers to make holiday entertaining something anyone can look forward to with anticipation! Daisy’s Holiday Cooking will definitely help you navigate the holidays, in whatever way you choose to celebrate, with a minimum of fuss. So prepare to deck the halls and party Daisy-style, with a little bit of Latino flair, some sassy dishes, and a whole lot of festive fun! 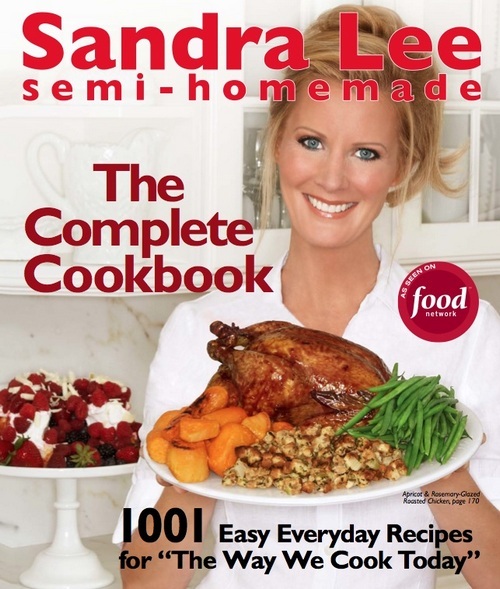 I also recently had the chance to chat with another food celeb, Sandra Lee of the Food Network. Sandra took the time to chat with me and three other bloggers (Estela of Weeklybite, Alison of Cooking with Friends and Kelly of The Party Dress) while she was in a NYC doing television cooking demos. Thru the end of the year, Sam’s Club has teamed up with Sandra Lee, from the Food Network and of Semi-Homemade, to help simplify the holidays even further by providing tips and solutions on holiday entertaining and decorating. Don’t stress! Simple recipes will lead to more family time which is what the holiday is most about. Don’t be afraid to use short cuts, like pre-made drink mixes for cocktails – give them names to match the holidays, such as Mistletoe Mint Mojito or Christmas Cosmo. Use copper cookie cutters or scented pinecones to decorate your holiday table. Sandra purchases pre-marinated cuts of meat during the holidays. One of her favorites is the Garlic Marinated Pork Tenderloin sold at Sam’s Club. You can visit Sandra’s website SandraLee.com for more recipe ideas. Perfect gifts for the cooks on your gift list, or for your self! I have one of each cookbook to giveaway!!! That’s right! 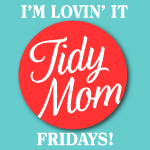 Two TidyMom readers will win! 1. Leave a comment, telling me what is your favorite holiday dish. Giveaway will end on Dec 13, 2010 at 5 pm CST. Two winners with a valid entry will be selected at random using random.org. I will email the winners and they will have 48 hours to claim their prize. Disclaimer: I was provided my own copy of each cookbook, I received NO monetary compensation for this review. 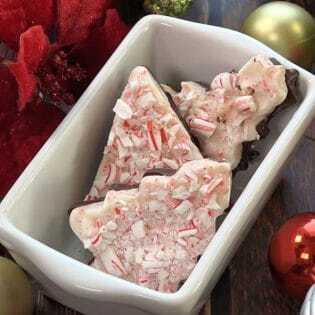 I am subscribed via email and I love to try new recipes…I’ve been having Christmas at my house for more than 20 years! I REALLY need new menu!!!! I subscribe via email. I would looooove one of these cookbooks. Good luck to me. Fingers crossed. My favorite holiday dish is a traditional Bohemian meal at our house and we make it every year at Xmas- roast pork, dumplings and sauerkraut! Yum! I follow on Twitter under @Berksgirl. My favorite holiday dish is pie. Pumpkin, blueberry, lemon meringue, it doesn’t matter. I am a google follower of your blog! I’m not sure I can pick a favorite, but the other day we made a very delicious peppermint pie! MY favorite holidasy dish to make is rosemary stuffing with roast red peppers! Its my new favorite dish to make, it was a hit at thanksgiving, I will definitely be making it for the family on more occasions. Thanks for this great giveaway, count me in!! I love all the holiday foods. Love trying new foods. Have to admit my favorites are usually the desserts. Can try them all guilt free at this time of year. I love my recipe for Creamed Corn at the holidays. I don’t make it any other time of the year, it’s just too fattening. I really love having the turkey,stuffing, cranberry mix. I only have that during the holidays, but man its good. And I especially love the leftovers too!!! I’ve also been meditation about the identical matter professionally lately. Pleased to discover a person on the same wave length! Great report. Pingback: Living Free | Frost Yourself…. with Chocolate!